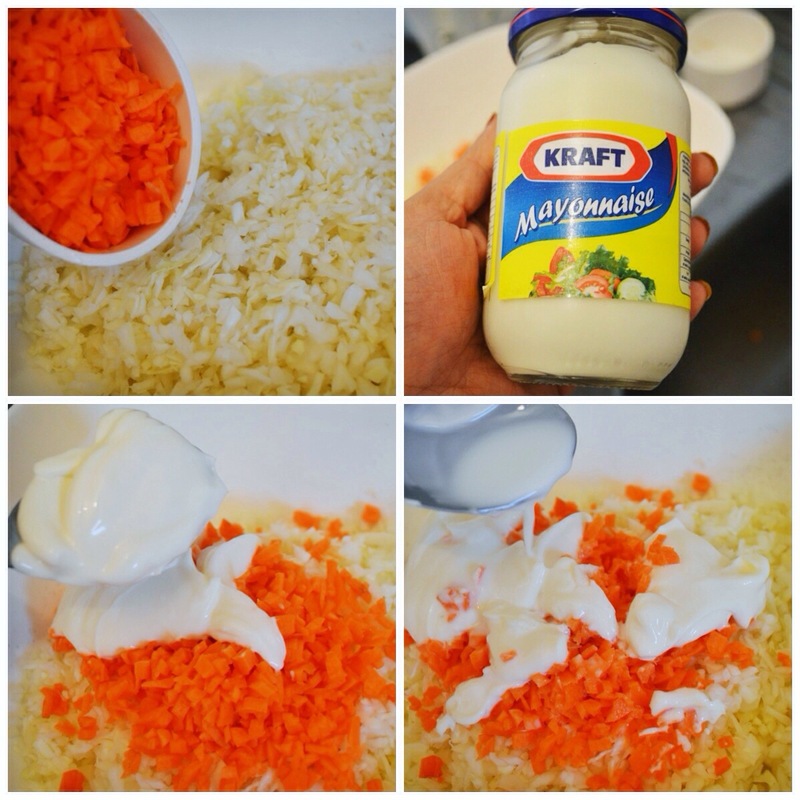 I really love KFC Coleslaw and I have tried many, many recipes to create the duplicate. This one is the best by far. 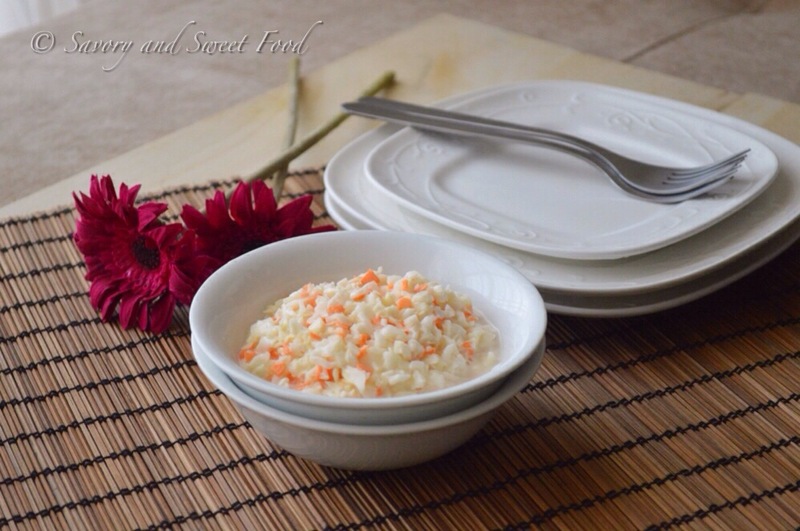 Its nice and creamy and really goes well as a side dish with fried chicken or grill, sandwich or you can eat it just like that. This one is so easy to prepare and it can be prepared ahead of time. 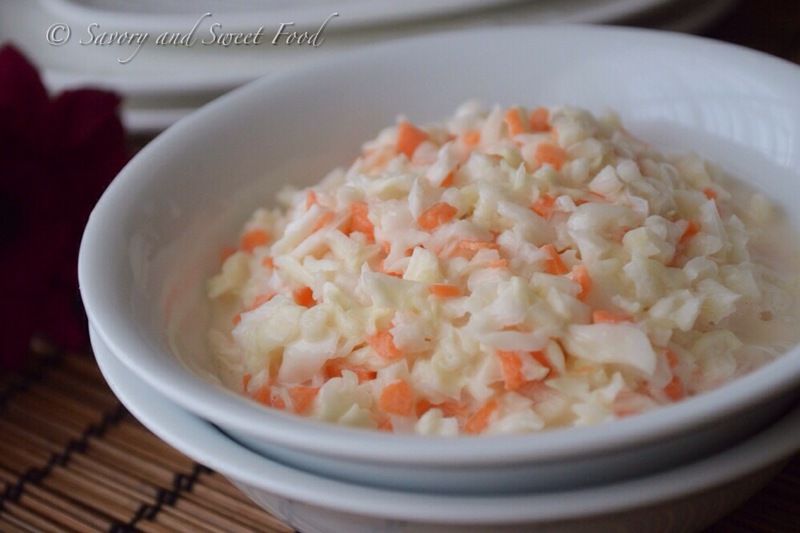 When it comes to BBQs, picnics, and casual get-togethers, there’s just nothing better than good, old-fashioned coleslaw. Nothin more to say, you guys try this out and let me know how you liked it. Its just too good. 1. Mix all the above ingredients together with a spoon in a bowl. 2. Refrigerate for 1/2 an hour so that the salad is chilled. ✔️ There may be an overwhelming fresh cabbage flavor right after making it. However, after it sits in the refrigerator for several hours, the cabbage soaks up the flavor of the dressing, and you will get the taste just like KFC! 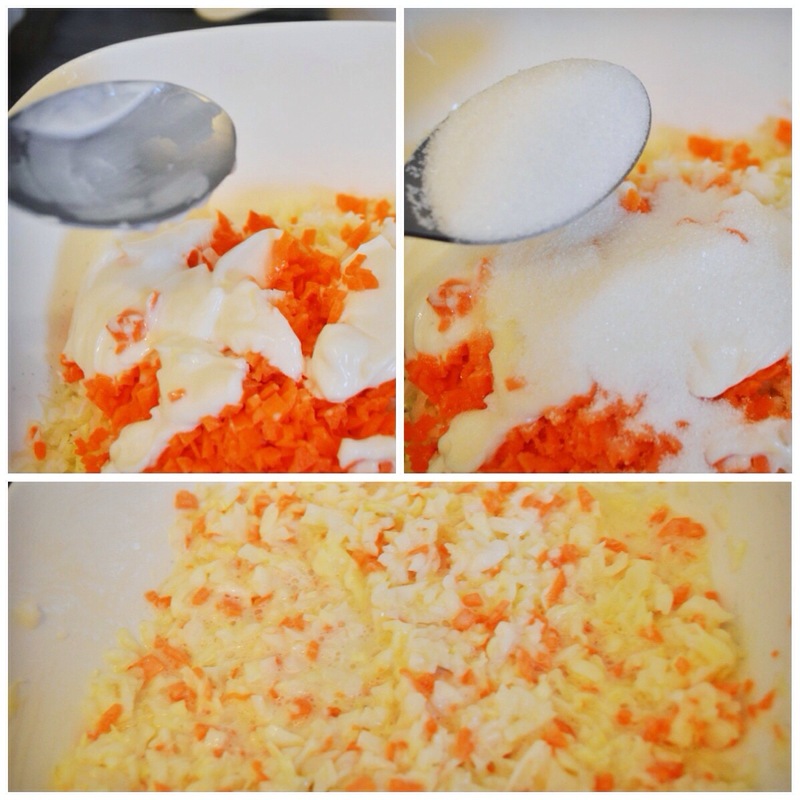 Mix all the above ingredients together with a spoon in a bowl. Refrigerate for 1/2 an hour so that the salad is chilled. I love coleslaw, especially KFC coleslaw. Nom nom nom. No worries. You deserve to be followed. You have an awesome blog. 😉 Thanks for the follow, too! 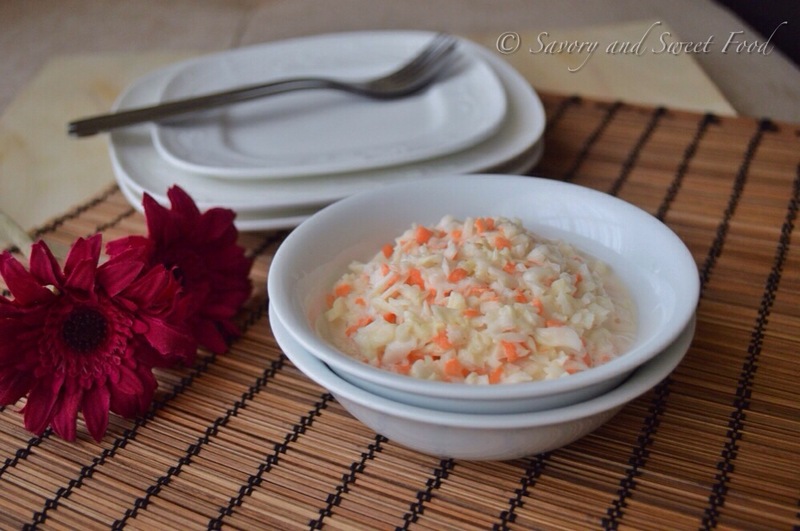 Assalamu Alaikum Wa Rahmathullah Sadia…..
Have made your coleslaw few times. Its really nice but I am not getting the KFC coleslaw taste. I followed all your steps ditto except the mayo brand. I didn’t get hold of kraft mayo…used Noor instead. Could that be the reason? Maybe that’s the reason. You need to get the real white colour mayo, not the cream colour one. And refrigerate for long. Yaaay! Thanks a lot for the feedback. Hello, Welcome to my site! I’m Sadia Mohamed…the cook, the writer and the lensman behind savory and sweet food. Come join me in my culinary adventures. 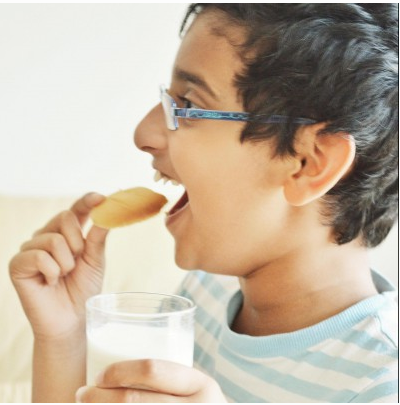 Hope you all will enjoy reading my blog and trying out new recipes. Thank you for taking the time out to check out my little space here and hope you will come back again. No part of the content (digital photographs, recipes, posts, etc.) of this site may be reproduced or displayed without prior written permission. This site is protected by CopyScape. DO NOT COPY.